As reported in Famitsu earlier in the week - and picked up on by Twitter user Nibel yesterday morning - Nintendo Switch has officially passed the lifetime sales of Wii U in Japan. 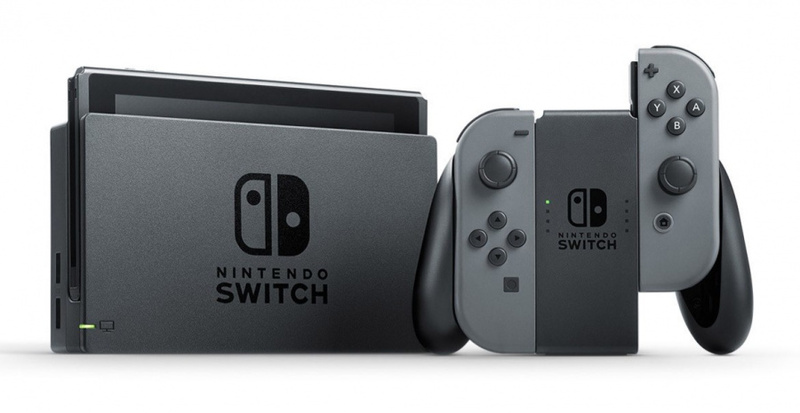 According to the latest issue's figures, Nintendo Switch has now sold 3,407,158 console units, surpassing the lifetime sales of its predecessor (which stalled out at 3,301,555). So in the course of only 10 months, Nintendo Switch has already hit the milestone that took Wii U six years to reach. It's a staggering figure and comes hot on the heels of two other sales records, with Switch having beaten PlayStation 2's year one sales record in Japan and become the fastest selling console in US history with 4.8 million flying off American shelves. It's been a great start to 2018, and that's saying something. Impressive. And this is without Pokémon, Animal Crossing, and a brand new Mario Kart. Keep it up, Nintendo! The Switch needs at least one more year of high-profile releases monthly or bi-monthly. Hopefully Nintendo has some chips left for 2018. We'll know more once the inevitable Direct reveals their plans for this year, though. If the Wii U had simply been an accessory for the Wii then I absolutely think it would have made much more sense and sold many more units--and I've never quite understood why Nintendo didn't just go down that route in the first place to be honest. 1. The Wii sold over a hundred millions units so that's a huge install base of potential customers who might have picked up a Wii U peripheral for it (I probably would have, especially if Nintendo had shown off a couple of example titles that really highlighted its strengths and appeal from the get-go, stuff like Super Mario Maker and Art Academy: Atelier). And considering how many units the Wii Balance Board sold, over 42 million at last count, I imagine it would be a lot. 2. For this to be truly feasible and make best sense it would have likely required Nintendo to be just a little bit more forward thinking in the first place, which to me means it should have made the Wii around as powerful as the other home consoles of the time to future proof it a bit more (basically around as powerful as the Wii U turned out to be anyway), and it probably would have had to change a few small details of the Wii to make sure a Wii U peripheral would stream perfectly to it with no noticeable lag (not an impossible notion). With these two things, none of which were impossible or even a lot to ask at the time (I'm pretty sure I recall Nintendo revealing it thought about including a touchscreen device with the Wii in the early dev stages and even made up some prototypes), and imagining for a second that the increase in power wouldn't have increased the Wii's initial price too much (but even then I think the Wii's uniqueness would have still won consumers over, as it has with the relatively expensive Switch recently), then I genuinely believe the Wii could have gone on to be the best selling console of all time, both home and handheld, by quite some ways, and probably could have still been selling even now too. Posted this in the forums yesterday. Would rather have Media Create sales figures as they're more accurate. It's not a surprise, Wii U was an unmitigated disaster in every possible way. The Japanese love their handhelds so it's not really a fair comparison. It should be compared with other handhelds. Also, the Wii U isn't 6 years old, it's just over 5 years old with a lot of caveats. It was arguably dead after a couple of years, it was starved of games long before the end and production ceased a year ago. You can't buy that which doesn't exist. You couldn't write a worse script for how to botch a product. The Wii U hasn’t even been out for six full years. If Nintendo keeps pumping out AMAZING TITLES like it has up to this point then my quess would be the NINTENDO SWITCH has a bright future. @wiggleronacid Considering that the Wii U sold horribly, MK8 Deluxe might as well count as a new entry in the series, as far as casual gamers are concerned. Does anyone know when it's gonna surpass the Wii U worldwide? How many Wii Us sold? How many Switchs out there since the latest update on sales? They'll definitely cross the Wii U. What's supposed to be Nintendo's target is to cross like around 20+ mil in 2 years. Comparing to a sales flop won't do much. Still, happy to see the Switch do well. I hope this momentum continues! Really looking forward to more games this year. And if this install base becomes big enough, maybe it will convince Capcom to localize MHXX! @Yasaal "Comparing to a sales flop won't do much." It will at least make the 2016 and 2017 naysayers eat crow. @SomeWriter13 Lol true. It'll shut them up for a while. Does this finally mean we can be positive looking forward instead of anxiously looking back? @GrailUK Well, in terms of sales, probably. But the Wii sold over a hundred million units and I don't particularly look at is as a pinnacle of amazing console gaming/entertainment. It had a few stand out titles, and some pretty unique experiences, but also a whole lot of casual, gimmicky, waggle junk, and there wasn't a lot of genuinely great AAA third party stuff to speak off either. I wouldn't be so bold as to believe the Switch is already immune to such potential issues at this early stage, although it's doing pretty decent so far. But, ultimately, it's about the games and experiences that a console offers when all is said and done, not how many units it sold, so I'm cautiously optimistic for now, but that's about as far as I'll go in terms of predicting its future. @impurekind The things Nintendo did on Wii U were impossible on Wii. The Wii had no wireless steaming tech built in - first major problem lol. Gamepad wouldn't work. The Wii was long dead. Nintendo wanted to experiment and develop online services impossible on Wii. Nintendo needed to make the upgrade to Wii U. The resultant work has laid the groundwork for some impressive in-house game engines, assets and networks - all impossible on Wii. It took Nintendo over 2 years into Wii U's life cycle for them to get the hang of developing HD graphics and engines with fleshed out online functionality. Wii U was essentially a big experiment that laid the ground work for Switch. While sales bombed, the learning would've been invaluable. Had Nintendo stuck with Wii, Switch would not be here. Also, it was fairly late into Wii U development that a full colour touch screen became financially viable. So, yes I was too harsh at the top but things happen for a reason I guess. Is the Nintendo Switch logo on that picture going to crush the Wii U when it slides down? @liveswired I agree with you that @impurekind's thinking is not a logical one. One factor will be the competition. It seems unlikely that the PS5 will launch next year, hence I think it's actually up to Nintendo itself for once. If Nintendo and it's partners can summon a competitive line-up for 2018 then I feel like Switch is indeed looking at an excellent 2018/9. If the system falls into another WiiU lull though ... I'm not sure how far indies and ports can carry it then. It will still be a strong performer - compared to the WiiU at least - going forward, but enthusiasm may dampen nevertheless. Basically, there is a reason why expectations for the next Direct are at a historical high (which is really saying something ^^): a subtle worry that Nintendo might have gone all-out on the Switch already - at least for the time being. Despite all the success we've seen, 3rd-party won't be able to pick-up the slack in terms of 'new' Switch content for 2018. 2019 is a different story, but this year, there is little to no way imho. Shifting ressources to the Switch might seem like an enticing proposition today, but that was not the case 9 months ago, hence ... I doubt much Switch-centric content was in development with the major players until recently. Ports and smaller projects/indie games are a different story, but again, that alone won't in my view be able to sustain the current demand. Stardew Valley on the Switch is great, but Stardew Valley without Zelda or SM Odyssey ... that's a different story imho. It's in its 6th year actually, though just barely. 5 years and 2 months since the release of Wii U. @GrailUK With Kirby, Yoshi and Bayonetta ports coming, I think that essentially tells us Jan-Mar are covered in terms of the 1st party titles at minimum. Beyond that, we could really do with seeing that rumored Direct ironing out the rest of the year for us. Nothing screams ‘inferiority complex’ more loudly than when consistently comparing yourself to competitors and previous consoles. Just relax. Stop comparing and instead focus on what Nintendo do that is unique and what we love - they make the most fun games, and have given us the best hardware to play them at home or on the move. I couldn’t care less what Sony and Microsoft are doing or how many units they’re selling - neither affect how much fun I’m having with my Switch! @ThatNyteDaez That would be great. I'm personally hoping for an event (like the January reveal event) like a mini E3 doing exactly that. I still think it's a big missed opportunity that the switch can't dock wirelessly with the TV to have to screens like the Wii U did. All in all I think the Wii U is still a better system, it just had horrible marketing as everyone who played my Wii U loved it and asked how they could get that tablet for their Wii also... Nintendoland was genius also. O believe people had more fun with that than Wii sports. I'm still waiting for a great multiplayer game like that on switch. @impurekind the biggest problem they had with the wiiu in the beginning was Nintendo’s main studios had zero experience in hd development. If the wiiu hadn’t existed they might be going through the learning process now. If the hit games keep coming I don’t see any reason why the Switch would slow down in terms of sales. It really is wonderful to be able to play games like Skyrim anywhere. "It had a few stand out titles, and some pretty unique experiences, but also a whole lot of casual, gimmicky, waggle junk, and there wasn't a lot of genuinely great AAA third party stuff to speak off either"
Even Wii lacked of AAA 3rd party games, i don't need them. My 3rd party Wii games are mostly for Casual with Acceptable / Good / Great (Non AAA) gameplay quality such as Go Vacation Wii, Chocobo Dungeon Wii, Dance Dance Revolution II, Harvest Moon Tree of Tranquility, The Dog Island, etc. And my games are NOT Junks. @Ralizah I agree that they need to continue with some strong releases this year but we can definitely look forward to far more in terms of third party releases than Wii U ever saw. I don’t really even need third party exclusives, I’d take decent ports with Switch being my preferred format simply due to its form factor. In a few years Nintendo needs to release a beefed up version that’s backwards compatible and capable of better graphics and a 1080p screen. I’d buy two lol. We're going to have more Switch physical and digital games then Wii U's soon enough arnt we? "I've just realised that the Switch's logo is very Japanese. lol"
Switch logo somewhat like Yin & Yang logo. @MsgBoardGamer Forgetting and ignoring third-parties wherever you go I see. Impressive. Can't wait to see what 2018 delivers. Can someone help me to remember the games that are confirmed so far? These above are the ones I think (and in some cases sure) will be released this year. @tourjeff SMT 5 is confirmed as well. I was pretty sure the Switch would be a massive hit in Japan so I am not really surprised. It’s the USA sales that blew away all my predictions by breaking records. The harsh reality is however that the WiiU was so poorly received that this news should be no surprise. Every (or most) console has probably outsold the WiiU in less than a year in Japan. Yes yes yes!!! This is all great news. Please drop a direct soon Nintendo. Please!!!!!! The only conclusion i came up with was to ignore his posts, don't bother mate because only his opinion counts which is irrelevant to me, leave ppl like that to suffocate in their self righteous bubble. @impurekind The Wii was getting too old and with the release of the XBox One and PS4 the power gap would have been so hilarious that any 3rd party support would have stopped anyway. The WiiU was a fantastic console, but Nintendo screwed up royally due to how it named and market the console! That was the sole problem and nothing else! If they had called it the Wii 2 or something totally different, then people would have immediately understood it was a next generation console, which it really was! The WiiU name was confusing and people really believed it was just a horribly expensive accessory for the Wii! Even game developers were confused and as such console sales dropped and it never recovered! In the meantime the PS4 was profitting from this, stole the show and was selling in ridiculous numbers! It suprised even Sony! Microsoft’s marketing disaster with the Kinect for XBox One didn’t help matters either. So no matter what, by the time people figured out what the WiiU really was, it was just already too late. Nintendo had a few small rebounds with Splatoon and Super Mario Kart 8, but that was it and at that time Nintendo was already moving on with Switch development behind the scenes. The WiiU was already written off. We had a very good time with the WiiU though. It had some of the most memorable games, like Splatoon, Super Mario Kart 8 and Super Mario Maker. We never regretted buying the console and got more than our money’s worth out of it. @impurekind That would have been super lame and would have alienated them even more. @WhistleFish It's probably because Switch gets those people who buy more than JUST Nintendo that it's doing this well, but yes, I see your point. Nice to see Nintendo reach another milestone, even if it is a minor one. Here’s hoping that 2018 can bring even more good news from the big N.
Impressive, I see Switch already beat Game.com, Sega CD, 32X, and Virtual Boy lifetime sale on its first month, now it beat Wii U and Steam Machines. Let's see if it could beat NES, PS2, and Wii first year sales on their fiscal period. @impurekind Since everybody seems to be knocking you I'll chime in and say I think you're on the right track, but only half right, but I like a lot of what you said. But the Wii was never going to work with the Gamepad, and the Wii was already on a downward spiral by the time the Wii U launched. So I see a possibly successful Wii U mirroring the Wii. Launch the Wii 2 for $249, a year earlier while Wii was still alive, and market the heck out of Nintendo games in HD. Wii U launched with NSMBU but all the emphasis was on Nintendo Land, which only came in the Deluxe $349 bundle. Emphasis could have been on NSMBU and Pikmin 3 in HD. While both of those games used the Gamepad they are playable without it. So are Zombi U and Lego Vity Undercover as their release on other consoles proves. So Nintendo could have put out Wii U earlier, but called it Wii 2 or even Wii HD, for $249, and promoted games in HD. Then after a couple of years it could have introduced the Wii 2 Gamepad for $99 bundled with Nintendo Land and promoted it with Splaton and Super Mario Maker and STAR FOX Zero. By then the Wii 2 would have been $199, making the bundle $300, w/o forcing people to buy it bundled. And for anybody who says "You can't sell a $99 controller, nobody will buy it. ", well the Balance Board was $99 and sold 42 million. The Switch Pro is $70, Joycon are $80, w/o a game. Nobody would buy a Gamepad for Nintendo Land, but for Splatoon and SMM and SFZ and the lie that was Zelda w/ an interactive map they promoted. I'd bet almost everyone ever who buys a console buys a 2nd controller, why not a Gamepad? Xbox and PS4 controllers are expensive as well. So I think you have the right idea about the Gamepad and the Wii, only as everyone else has pointed out, Wii can't handle the Gamepad. The Wii U can't even handle the Gamepad properly which is why we never got the dual Gamepad games they promised us, Wii U couldn't handle it. Also probably why SFZ looks like a HD port of an N64 game compared to XCX. But had they promoted Wii 2, Mario and Pikmin in HD, on a cheaper console, while Wii was still popular, the Gamepad could have come later whend they actually had some games that needed it. Nothing really needs it until Splatoon. Not SSB, not MK8. HD was all they needed for marketing. Who knows, Zelda might have got to keep it's map as a "Gamepad extra". I think it would have worked, better anyway. But Nintenfo was just too full of themselves after Wii's success (it sold 5x better than Gamecube, Switch has 60m to go before it's 5x better than Wii U) that they didn't even try too hard to promote it, just called it Wii U and put it out there. At least they've learned from that, Switch has had a huge marketing push. That obviously helps. @Link506 Bimonthly can mean either twice a month or once every two months. I meant the latter definition. Although I doubt two releases a month would hurt @JaxonH 's wallet too much. Don't misunderstand, it kills me trying to keep up with all the games worth owning across multiple platforms. Heck, it's hard enough just with Switch. 1 game a month is a good pace, I think. Maybe skipping a month here and there to allow room for a big third-party title. Squeeze em too close together and the sales suffer (Fire Emblem Warriors was a casualty of Super Mario Odyssey, and practically everything from Odyssey to Xenoblade 2 had to desperately fight for attention- LA Noire lost out to Skyrim, even DOOM lost some momentum due to Skyrim). But as the install base grows, they can start grouping games together more because there will be a larger pool of customers to support those games. I don't believe 3rd party developers would miss such a large consumer basis... The question is, will they get on board (or have gotten) on time? Nintendo still has great IP's left that can hop on Switch, and they still can create great&succesful new IP's for Switch (hello, Splatoon). Bethesda did its part, Take Two is doing ok to start, but we all know their big guns are not LA Noire and NBA2k... EA, well. Don't stop at Fifa. Ubisoft? We love Rayman and spinoffs but you got much more in your sleeves. Activision? Bring it on, guys! Make new games, make ports, make whatever you want. Just bring good games to this monster. I don't care about sales in Japan. I love the Wii U; I love it a lot more than the Switch. I've had my Switch less than 6 months, hate the controls, one of them has already broke and I've had to have it serviced, the game library is growing but mostly uninteresting to me, and the Wii U has about a dozen more meaningful features to me. I would gladly sell my Switch if my daughter didn't use it regularly. @Fingeldor plus the wii U was more daring and innovative with the double screen/wii u game pad(although totally underutilized) plus it's compatible with the wii remote. The switch joycons may have HD rumble but their gyro pointer controls are inferior(gyro drifting...and having to realign the pointers position because theres no senser bar)in comparison to the wii remote pointer controls when it comes to pointing ala metroid prime 3, RE4 wii edition ect ect. The hybrid Portability of the switch is pretty rad but hardly mind blowing. I also love that you can use that 8bitdo snes(rainbow colored buttoned JPN/UK version for me) pro controller controller for the switch. @impurekind I don't see any Japanese in the logo. I hear the sound of switch fit and switch sports rolling around in those Ninty heads! Could 2018 go all casual waggle play! @Fingeldor If you ever want to sell it I'd be happy to buy it as I've had no problems with mine. @WaveBoy When they announced the Wii U, I thought there were many opportunities to use the second screen. Many called it a gimmick, but I too felt it was underutilized. In the end, the Wii U seemed to succumb greatly to consumer confusion and bad marketing. The name itself was a disaster. Many people asked me years ago if the Wii U was an accessory to the Wii. Not everyone follows these circles closely, so the hesitation to purchase a new console made sense. In the end, you're right: the Switch library will grow and surpass the Wii U's. If we're comparing hardware-to-hardware, I prefer the Wii U console. I prefer the controls incredibly. It was backward compatible with Wii, it had Netflix, a universal remote control, Netflix, MiiVerse (R.I.P. ), Amazon Video, better user management (imho), a stylus that was both a game accessory and a creative tool, and overall a stronger and more durable hardware design. I look forward to seeing the Switch grow. I barely pay any attention to Nintendo anymore. I invested deeply into Wii U, and I feel a little betrayed by the company. I just don't like the way they're doing business these days, and I'm not anxious to fork over hundreds of dollars every time their console fails and they scramble to roll out a new one. I know that's not a popular opinion here, but that's how I see it. @607jf As I said, if my daughter didn't play on it occasionally, I would be happy to sell it and recoup some of my investment. Arms alone was one of the worst gaming purchases I've ever made. It should have been a $30 game on the eShop. Awesome news! I'm hoping to add another unit to the worldwide tally at some point this year. Taken on its own merits, not a huge achievement. However leaving Wii U behind is symbolic for Nintendo. The quicker they leave the Wii U disaster behind and power their way to deserved success with the Switch, the better. I couldn’t be happier it’s doing great here in Japan. It’s great going out and seeing lots of people playing outside in the train and shopping centers. A few months ago that wasn’t the case but it’s becoming more and more common. In the end it’ll probably replace the 3DS. As for games, I’m really excited for what Nintendo might have prepared for this year but third parties were caught unawares by the console’s success and are just now starting to put resources into developing games for the Switch. So, I think we won’t see many third party original titles on 2018, and not many multiplats either. Ports will be different though since they’re cheaper and faster to develop. So, 2018 will be year of the port and 2019 will be when we start getting real original content along with some multiplats. The Wii U was a bridge and Nintendo pretty much knew it was going to be abysmal for sales.. not only that, they just entered into HD gaming.. it was so painful for anyone who bought at launch... I still really love the U but man did they miss the mark with it.. Switch is a niblsnarfing marvel of tech.. Could wind up being the best console they ever made..
@Tarvaax True. Fingers crossed the Switch is the first Nintendo system to see two Mario Kart titles! @rjejr You can't just call something Wii 2 or Wii HD and expect people to think it's anything but another Wii, which lot's of people were rather tired of by the time the Wii U came out. It would be like instead of having the N64 called that, they just called it the SNES 2, or SNES HD. That's fine for people wanting more SNES, but, usually when a new generation comes, people want the next generation, not a souped up version of the current one. There's already a precedent for naming Nintendo consoles #2, and it's just an update to the hardware, like the NES 2 (toploader). People thinking Wii 2 is just another Wii, is just like how I feel about Playstation 4 or 5 or whatever, I've already played the Playstation, didn't care much for it, and they can't sell me another one if they don't change the name to make me think they've done something new or interesting. Not a surprise. The Switch is a well designed portable console that also works as a great home console. The Wii U was just a home console with a terrible controller. The best use for the Wii U IMO has always been it's use as a Virtual Console machine, and it's a great way to play old Wii games. @kocazerzei The question is can third party game sell on Switch and can third party themselves deliver a worthwhile experience for Switch audience. The reason not many third party jump on board for the Wii despite its massive success was that not many third parties know how to utilize the motion control on that system and those that did didn't fully understand how to utilize it. Instead some either make a quick port of a PS2 game, a GameCube port with waggle, or a minigame shovelware. Those that took the Wii spec seriously didn't bother with motion control on their games like Tatsunoko vs. Capcom, Rayman Origins, Muramasa: The Demon Blade, and Tales of Symphonia: Dawn of the New World. The difference between Wii and Switch is that unlike Wii, Switch is more easily utilize and even if third party doesn't had anything unique to offer for Switch audience, the portability aspect makes it at least worthwhile. Yeah calling it "2" is so stupid, what was I thinking, the console w/ the 2 after it is only the best selling home console EVER. How could I possibly think putting a 2 after Wii could help any? @ralek85, the switch doesn't have competition because of it's advantage. Although the graphics are not as high as the ps4 and Xbox one graphics. The switch advantage is that it is a hybrid and that is a big factor. I wonder if a wii u mini will ever be released lol. And there are still a lot of heravy hitters in the pipeline like Animal Crossing, Pokemon, Fire Emblem, Donkey Kong and Metroid, to name a few. @electrolite77 Yeah, you are absolutely right, forgot about those games! It is already a big list for 2018. "Nintendo could have put out Wii U earlier, but called it Wii 2 or even Wii HD, for $249, and promoted games in HD. Then after a couple of years it could have introduced the Wii 2 Gamepad for $99 bundled with Nintendo Land and promoted it with Splaton and Super Mario Maker and STAR FOX Zero". This would have been a much better plan than what they did. 2018 already looks great even without knowing much about Nintendo's plans. Sony sell more home systems than anyone. Their systems are numbered. "Our last system was great. Here's more of the same but newer and better". It works. December 2012 to January 2018 is 6 years? well mathematically yes that would indeed be just over 6 years (Dec 2011 - jan 2018 is 6 years and 1 month), but unfortunately for you, this is wrong (your statement), the WiiU came out in December 2012, which means 5 years and 1 month, but as it was discontinued earlier this year, it actually had a run that was less than 5 years. @retro_player_22 I've been saying this for ages, for some reason people seem to remember the Wii as some big 7th gen console that had all this support from everyone, while i remember Chris Heckler and other developers expressing their disdain for the Wii "the Wii was 2 gamecubes glued together ect..."
Yes i agree with you, can 3rd parties make games for Nintendo that sell as good as Nintendo's own games? Well think about it like this, Nintendo are in competition with many of these 3rd parties because they make their own games as well (Sony and Microsoft do not make their own games, they pay for exclusives or in some rare cases they may buy out a developer house to do exclusives for them but that is rare), So Nintendo will never want 3rd parties to make better games on their own machines that will sell better than Nintendo games, Nintendo want these 3rd parties to make games for their hardware but they would never be willing to allow these games to sell better than their own games or be more successful, if that was to happen then Nintendo would more than likely attempt to purchase the IP or the entire developing house (as with the case with Pokemon). Wii u is dead for the last 2 years so Wii u hit that target in under 4 years not 6. In other words. Switch sells 4 times faster than Wii u. @electrolite77 Well to be fair, coming up w/ a better Wii U plan than the one they had - spend half their time explaining to people it wasn't an add-on for the similar looking Wii but it was in fact a new console; and spend the other half of their time trying to explain to people the difference between asymmetrical and asynchronous game play - wasn't difficult. You'd have to have a job at Microsoft to come up w/ a worse way to market a new console - no rentals, no trade-ins, always online w/ an always eavesdropping expensive Kinect in the box. Though to give MS it's due, they were smart enough to drop the Kinect, lower the X1 price, come up w/ 2 new models and finally kill off the Kinect entirely. Nintneod killed off the cheaper model of Wii U, then kept the Gamepad in the box for 4 years at the same $299 price. So I think MS screwed up their launch worse, but they have done a much better job at supporting the X1 and trying to make a go of it than Ntinedo ever did w/ Wii U. Announcing NX in March 2015, only 2.5 years after the Wii U launched, we all knew it was dead then. The Wii U was never going to be saved, but Nintendo quickly focused all of it's efforts on NX and wrote off Wii U early. A few more price drops, a few less game delays, less talk about NX, it may have reached Gamecube sales. But the launch was botched big time. @Razer Yes, I meant 2012. Damn typo. @impurekind I agree completely. Had the Wii U been an upgrade for the Wii it would have made much more sense and been better received. @Nintendo_Thumb "like the Wii U 2 would have sold more than the Switch"
Who was talking about a Wii U 2? Nobody in this thread. We were discussing Wii 2 launching INSTEAD of Wii U, the Wii U console but without the Gamepad, focusing the launch on a $100 lower price b/c of no Gamepad, b/c there really wasnt' any great reason to have a Gamepad at launch, and then Nitnedo could have sold the Gamepad as an accessory 2 years later for $99 like they sold the Wii Balance Board later for $79, and they could have promoted the Gamepad with games that really worked well for it like Splatoon and Super Mario Maker and Starfox Zero. Though most people would have seemed to prefer no Gamepad from what I've read. And yes, I do think a Wii 2 would have sold better than a Wii U, b/c of the lower price and the focus on games like MK8 and NSMB in HD. The Switch would have come after the Wii 2, probably a year later b/c Wii 2 probably would have sold well enough and the Gamepad would have extended it's life. You can see why they didn't bother. All that effort to match sales of a system they consider a flop? No chance. Up until e3 2015 when they made it clear it was finished, their support was pretty good. Would have been interesting to see how quickly they dropped it if Switch was ready earlier. They can be pretty brutal.